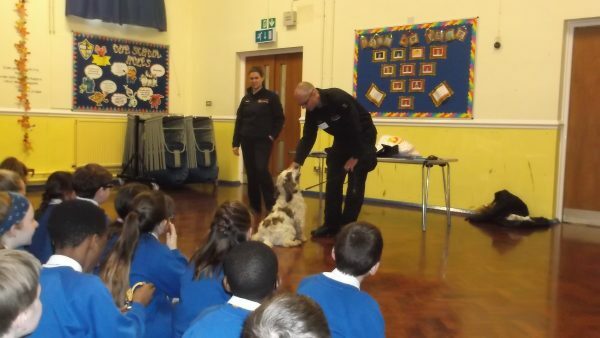 On Monday 18th December, Balfour was excited to welcome Constables Lyon and Marcham from the Metropolitan Police Force, Dog Handling Unit. 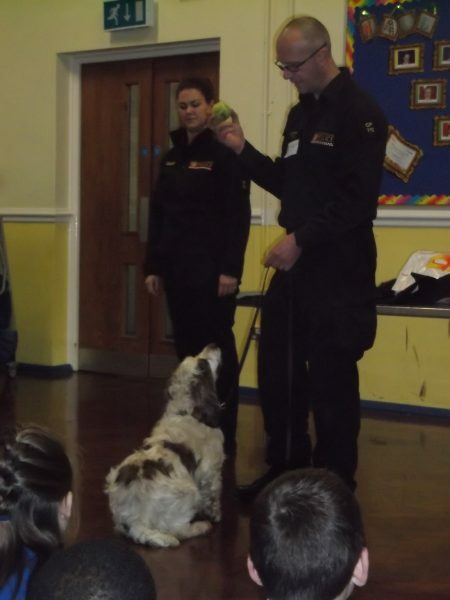 With them they brought two of their colleagues; Murphy (a Springer Spaniel) and George (a black Labrador). 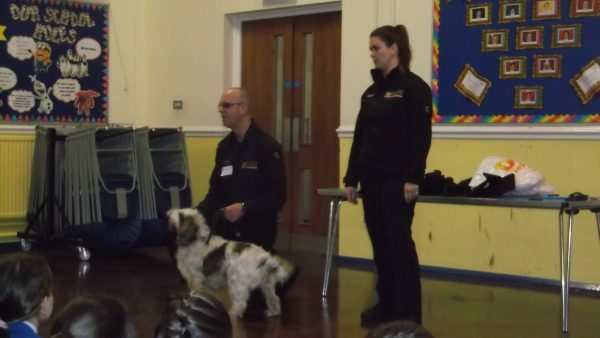 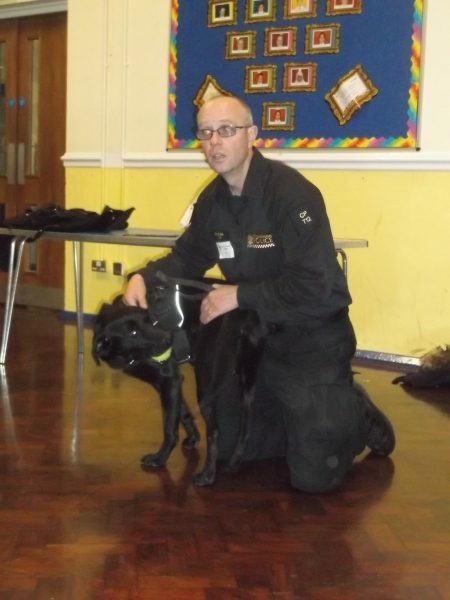 The children were fascinated to find out about the dogs roles as search dogs, and were treated to demonstrations. 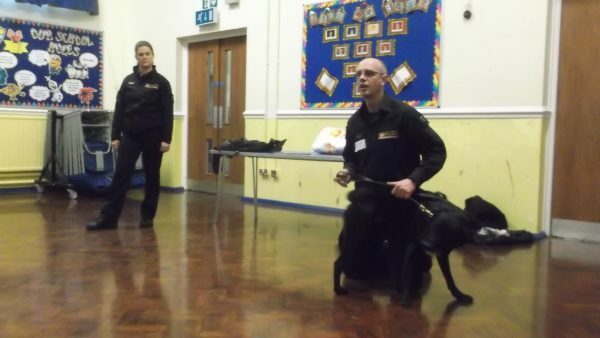 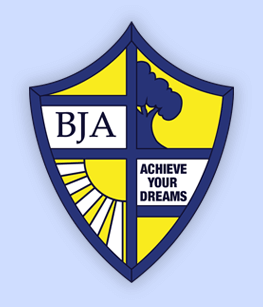 Many great questions were asked, and once again the pupils were great ambassadors for our school, impressing our guests.